America’s trade deficit with China is a minor issue by comparison, distracting from the major one, China heading toward being the world’s largest economy, along with becoming an industrial and technological powerhouse, what Washington aims to prevent. Doing Washington’s dirty work, Canada unjustifiably arrested and detained Meng without just cause – phony accusations substituting for legitimate ones, improper claims about Huawei conspiring to violate (illegal) US sanctions on Iran, ones no nations should observe. A US Justice Department 13-count indictment also charged Huawei with wire fraud, money laundering, intellectual property theft, and obstruction of justice. 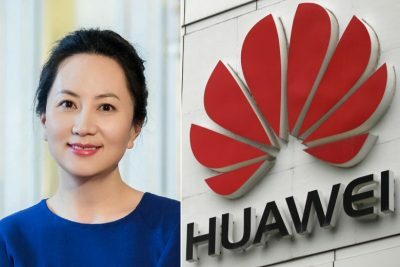 The politicized indictment alleges Huawei and an affiliate company violated the 1977 US International Emergency Economic Powers Act (IEEPA). It permits regulation of commerce after declaring a national emergency in response to an alleged threat to America by a foreign state – despite none existing since WW II ended, notably none posed by Russia, China, Iran, and other nations targeted by the US for regime change. China and Huawei deny US charges. Beijing’s Foreign Ministry accused Washington of using state power to subvert the operations of Chinese companies, notably high-tech ones like Huawei and ZTE – vowing to protect their legitimate rights. Currently under house arrest in Vancouver, Canadian authorities approved Meng’s extradition to the US, acting on Trump regime orders. A lengthy legal battle is likely, China and Huawei surely to go all out for the interests of the nation, the company and Meng. Her next court appearance is scheduled for March 6. On Friday, China’s Foreign Ministry spokesperson slammed Canadian Prime Minister Justin Trudeau, saying his credibility is at stake over this issue, demanding his government drop charges against Meng and release her from house arrest. Based on alleged US evidence released so far, extraditing Meng to America would be a “twisted (politically motivated) decision” – harmful to Canada’s interests, a “political scandal” if PM Trudeau bends to US interests on this issue. If things aren’t equitably resolved, China’s relations with the US and Canada will be more negatively impacted than already.